Joe L. Burns, Jr. 87, of Amarillo passed away on Saturday, October 20, 2018, surrounded by his family. Family and friends will gather to celebrate his life on Thursday, October 25, 2018 at 1:00 p.m. in LaGrone Blackburn Shaw Coulter Road Chapel. Interment will follow at Dreamland Cemetery in Canyon, Texas. Arrangements are under the personal care of LaGrone Blackburn Shaw Funeral Directors, 8310 S. Coulter Road. Joe was born on November 27, 1930 in Liberal Kansas to Joseph Lane and Leta Gertrude (Bowles) Burns. He graduated from Godley High School and earned a Bachelor's Degree from SMU. 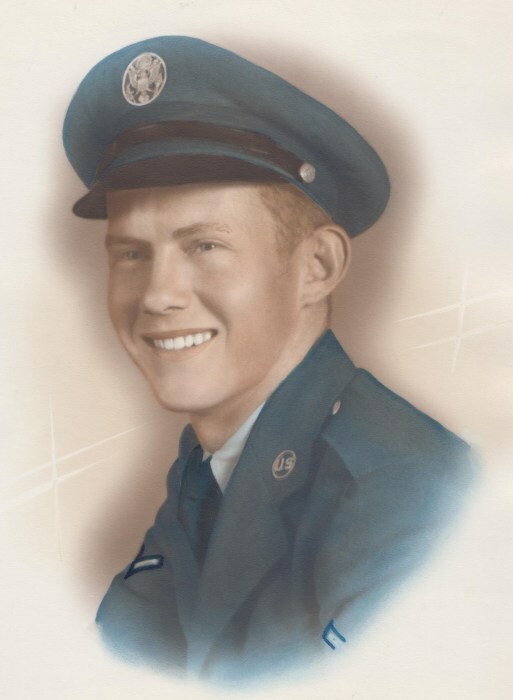 Joe proudly served in the U.S. Air Force from June 1951 until June, 1955. He worked for Southwestern Bell Telephone Company in Dallas and retired after 42 years of service. "re-engineering" everything. He dedicated his life coaching youth sports with his kids. He was an avid reader and long before the days of "Google", Joe's granddaughters knew that if you needed to know about ANYTHING, you could call Grandpa Joe. He had all the information...the long version. He traveled near and far in pursuit of his hobby as a "Rock Hound". He was truly loved and will be missed. Joe was preceded in death by his parents; his son, Kenneth Lane Burns; one sister, Rosemary Fox and two brothers, John Burns and Bill Burns. Those left to cherish his memory are his bride of 68 years, Pat; one daughter, Kathy Bailey and husband Don of Amarillo; two sons, Kevin Burns and wife Susan of Waco and Keith Burns of Chula Vista, California; 9 grandchildren, Stacey Figel, Toni Stehling, Tammy Wilhelm and husband Michael, Chelsea Sparkman and husband Kyle, Emily Burns, Abigail Thomas, Nicolas Mocio, Andrew Mocio and Sara Fleming and husband Patrick. He is also survived by 6 great-grandchildren, Jadan Liles, Kyler Wilhelm, Trayton Stehling, Addi Whigham, Mason Sparkman and Zuri Sparkman; two sisters, Margaret Mollick and Virginia Smith and husband, Jon; one brother, Jim Burns; two sisters-in-law, Wanda Burns and Gerry Burns and numerous nieces, nephews and cousins. The family would like to extend their deepest gratitude to the staff of Bivins Pointe for the loving care they provided during Joe's time there. In lieu of flowers, the family suggests memorials be made to the C.O.P.D. Foundation, 3300 Ponce de Leon Blvd., Miami, FL 33134.